More than 200 members of the Oromo ethnic group have according to information received by the Society for Threatened Peoples (GfbV) disappeared following their arrest on 22nd August 2006 in Western Ethiopia. "We are very much concerned because the relatives have been refused all information on the fate of those arrested and so far no charges have been made against them", said the GfbV Africa expert, Ulrich Delius in Göttingen on Friday. The Oromo were arrested in the district of Tukur Inchinni, 125 km west of the capital Addis Abbaba and taken away on lorries to an unknown destination, said eye-witnesses. 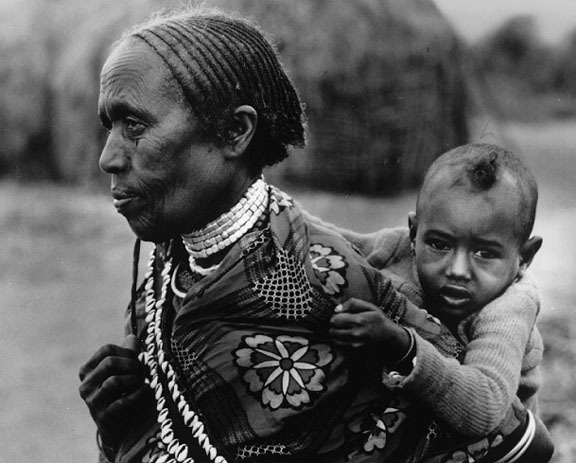 The Oromo are the largest ethnic group in Ethiopia. Since November 2005 several thousand of them have been arrested because they had protested against the persecution of the Oromo in the multi-national state. Many of those arrested have been held in custody for months without any contact to the outside world. Recently it has been above all pupils and students who have been the victims of state persecution because they had protested against the arrest of the leaders of the Oromo charity organisation Macha Tulama or against the moving of the provincial capital of Addis Abbaba to Adama and called for more self-government for the Oromo. the fact here is simple authorities use the people to achieve their ends,which is the desire to remain in power.Here I have observed something ,even ,while my stay in university,for study,in 6years;accordingly the fact remains that everybody is suspicious of oromos for fear that they might hold some dissenting opinions,of rectifying the history,but these as they may,one should not encroach up on the human rights of the people and individuals,too.To this end,they has the right to freedom of expression,at the heart of which exists right to hold opinions.In addition they has the right to develop their own culture,etc.Failure to recognize and accommodate this lead to its demise and failure of the country,too. "darkness cannot drive out darkness;only light can do that.Hate cannot drive out hate;only love can do that." Accordingly,let the government upheld human right!!! !Let it think of forward! !